There is a great deal to learn about living full time in an RV park, so it's important to do your homework before you decide to move into one with your camper, travel trailer or motorhome. If you take the time to talk to full-time residents, visit a few parks and read informative articles, you will be well prepared to deal with situations you may face once you start your new life. This article provides an overview of what you can expect. Use it as a starting point for your research, learn what you can, and then decide if campground living is really right for you. If you are considering living in an RV park, there are a few things you need to know that will help you to understand some of the issues you might be facing. In truth, you will basically live in the same way that you would in any neighborhood. The main differences are that you will have less interior living space, different types of daily chores and more social contact. You will also have some amenities that differ from what you had when living in a house or apartment. There may or may not be planned recreational activities but you can pretty much do as you like, just as you would in other types of housing communities. Living in an RV park has many benefits that you would not get with other types of housing. but it also has some caveats. If you understand this, you'll be able to make a better decision about whether this lifestyle will work for you. Below are some details that may help you to decide. RV parks and campgrounds are just like other parts of the world. Some are safer than others. If you want to stay safe when living in a park, you should research its location, reputation, and policies before you arrive. This article from Kampgrounds of America has a lot of good tips for maintaining safety. using a safe to protect important documents and valuables. If you are interested in residing in an RV to lower living costs, you may be tempted to think that RV use means you can camp or live anywhere. However, it is unsafe to set up camp in random spots. Doing so can expose you to dangerous environments or people. 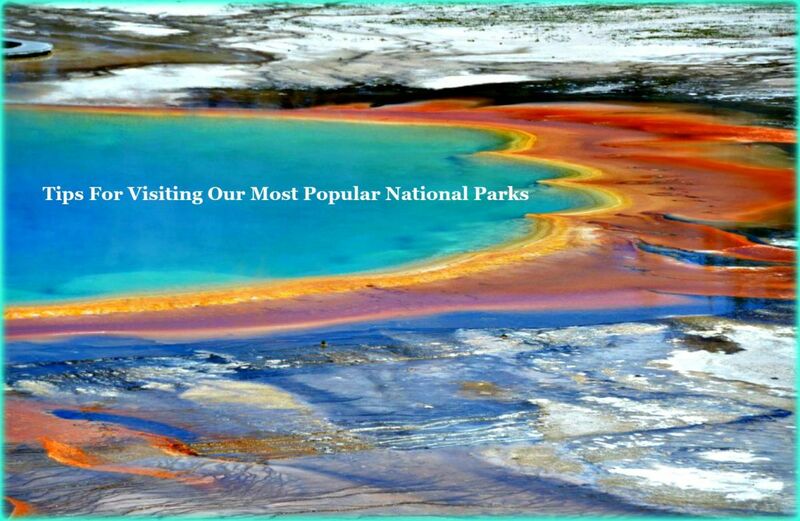 You should try to find designated campgrounds or safe lots to park and camp. This article offers lots of suggestions for finding affordable or free spots to park temporarily. Some of these options are included with your camping fees, and others require an extra payment or they may need to be directly ordered from vendors. How you spend your days depends greatly on your personal desires as well as how a facility is set up. Some offer special luxuries such as workout rooms and personal trainers, while others offer a place to stay and nothing more. This is one of the reasons why you should make sure that the park you choose to live in suits your needs financially, geographically and socially. Residents will often be a mix of travelers and full-timers. Some who stay in campgrounds do so because they have to, not because they want to. Their poor financial situations have placed them there, and a few of them may not be the types of individuals you would want as neighbors due to their personal habits and attitudes. Most residents do not live in RV parks to vacation, even though they may utilize the amenities that are available to them and sometimes travel as well. To them, their coaches are their homes, and they treat them as such. Many people choose to live in RVs, remodeled vans, and other vehicles because the costs of living elsewhere are too high. 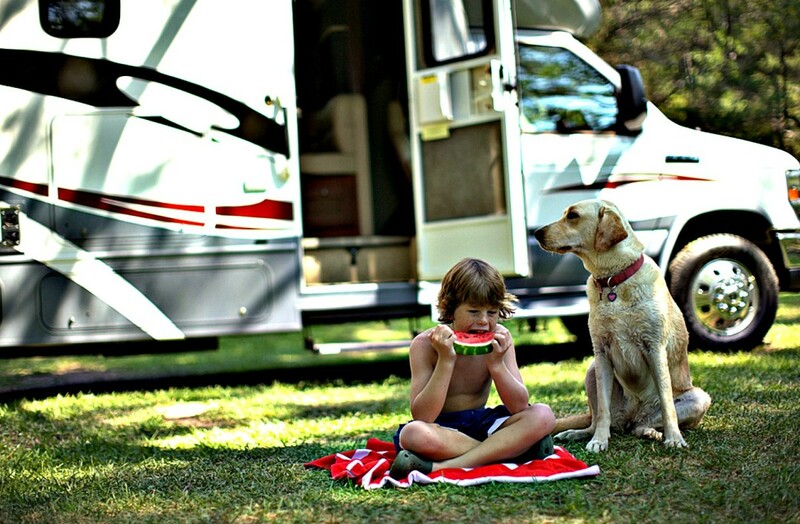 People of all ages, situations, and circumstances live in RV camping facilities. Many are senior citizens who have traveled for years prior to settling into one place permanently. Some can no longer travel due to health reasons and age limitations, but they still want to enjoy the RV life because they find it to be more interesting, stimulating, and easy. There is usually a group of regulars at every RV park. They form homeowners associations which serve the purpose of sharing news and arranging for various types of activities. They will typically meet once a week at the clubhouse to decide about activities that may include parties, picnics, dances, dinners, cruises and bus trips to local areas of interest. All park residents are welcome to take part in these activities. They have more time to participate because they don't have as many chores to do as homeowners. For the most part, residents get along well, but if problems do arise between neighbors, it's very easy for one or the other to move to a different campsite! No matter what type of park you choose, you must always practice good etiquette. if you have guests, you need to make sure that they do not disturb your neighbors. Young children are not a good fit for this lifestyle. Most adults do not want to deal with the noise and challenges of being around children in an RV park, and the truth is that there are very few facilities that welcome kids. It is one thing to travel and stay briefly at certain spots that are equipped for children, but it is quite another to try to mix their needs with those of older adult residents on a daily basis. Many facilities do not allow pets or, if they do, they require pet owners to stay in segregated, pet-friendly areas. 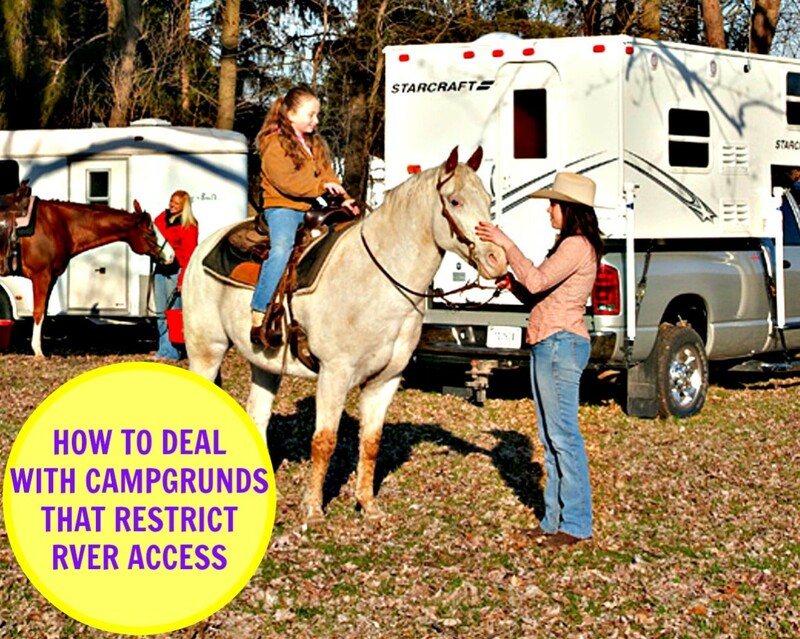 This is a common rule in many RV parks because most campsites are closely spaced, and pets can easily irritate other campers. Also, their waste can be a real problem, especially if people do not pick up after their animals. For most people, living in a warm climate is usually more comfortable than living in a cold one. Doing this can also make it easier to connect with neighbors and keep you from feeling closed in and isolated. It can also help you to avoid many mechanical problems that are more likely to occur in colder environments. Even the biggest RVs will have some space limitations. For this reason, you must organize, plan well, and limit your possessions. Is Full-Time RV Living For You? and 9 Things You Need to Know About Living in an RV explain more about this issue. You also need to make sure that the unit you own suits your needs. If you plan to solely reside in your coach, you will want it to be as large and comfortable as possible. If you plan to travel during the year, you might want an RV that weighs less and is easier to drive. In addition to basic chores, you will have to care for your vehicle, its parts, and its tanks. The Best Way to Dump and Clean Your RV Sewer Tank and How to Care for Your RV's Fresh Water Tank will guide you. In addition to the maintenance mentioned in these two articles, there will be typical RV repairs that you'll have to do from time to time, but you won't be mowing lawns, planting gardens, painting, or doing other types of heavy housework. When you live in an RV Park, your mail will go directly to the park office unless you arrange to have it sent elsewhere. Park residents and guests will have to pick up mail from the office on a daily basis because few facilities will deliver it to individual campsites. In many cases, other people will have open access to your mail, but most are respectful of each other's privacy and will not bother it. Nonetheless, you need to be aware of the fact that in such situations, there is always a chance that someone can steal your identity by invading your mailbox. If you find that this is a problem, you can always use a mail forwarding service as an added protection. My article, How to Set Up and Use a Mail Forwarding Service will give you all of the details you need. Two of the best services are those offered by Good Sam Club and Passport America. It costs a bit to use these services, and they can be inconvenient, but they will help you protect your privacy. You will experience many changes when transitioning to life in an RV. Your basic routines will remain the same but the ways in which you do most of them will not. You cannot keep an exercise machine in a travel unit. You can join a gym or use a park's exercise room if they have one. You cannot entertain large numbers of people in your motor home or camper, but you can rent a park's clubhouse for fun activities. You will not have a great deal of room for computer equipment, but you can carry a laptop and a small portable printer on board. There are ways around just about every type of issue or inconvenience you might encounter. If you plan well and make smart decisions, living in an RV can be easier and cheaper than remaining in a house. Millions of people live this way, and you can too. Do you think you would like to live year round in a campground? No, campground living is not for me. I'm currently living in my 2016 Grand Design Solitude. The 5th wheel has been parked in the safe spot approximately 1.5 years. Is there any maintenance I should be doing since it's going to be parked in one spot for the foreseeable future? Yes: Make sure to check and seal your roof, seams and any areas that attach to the RV regularly, cover the tires to protect them from the sun, also check screens and repair where needed. Before you try to drive it anywhere, make sure your tires have not rotted on the inside. I would like to relocate in an RV to Surfside, SC within a couple of years. It there a place that rents out full time? If so, what is the cost per month? Also, if I have my own camper, what would that cost per month? 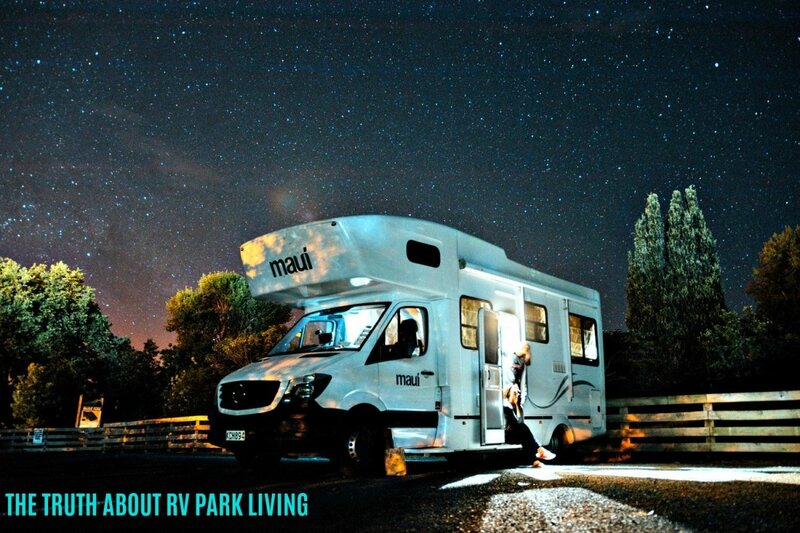 Most parks that rent out RVs do not do so on a year-round basis, so you likely would have to buy one of your own. To find RV parks in any area of the country, you will need to buy a camping guide such as the one put out by the Good Sam Club. You can find one right on Amazon.com. Once you have it, you can search for the area where you want to be. The guide will give you current costs for each park along with contact info so that you can call them directly to find out their charges, etc. You pay less for a year-round spot than you do for shorter periods of time. This is my first year of full time living in my RV. I'm parking it at the ranch I work on so I have electrical, water and sewer available to me. I purchased a unit with heated enclosed underbelly but how can I best prepare for the Colorado cold winter months so my waste water doesn't freeze from the trailer to the connection or freshwater freezing in the line from the connection to my RV? Should I look at heated hoses or electrical wrap? Buy a roll of insulated aluminum bubble wrap and wrap your exterior hoses with it. Keep the internal water at a slow, ongoing drip from the outside faucet as well as the interior faucets. You may also want to get some bales of hay and place them around the outside of your RV. This will keep the colder, blowing air from getting beneath your coach and will keep pipes from freezing. The heated, enclosed underbelly will help a lot with this. Also, you can cut the insulated foil to size and place it on all of your windows. This will really help to maintain a comfortable interior temperature. Make sure to cover ceiling vents with insulated covers as well. You can buy many of these products via my articles or go directly to Amazon for them. Your wastewater won't freeze in the tank but empty often as an added measure of protection. The pipes it travels through will be empty until you pull your tanks, so they shouldn't be a problem. How can the camp director say I can't try to visit my girlfriend who rents a permanent RV spot? Visiting and living with are two different things. He must think you want to move in permanently. If so, you'll have to pay more to do. We can afford a fairly large, fifth-wheel or a class A motorhome. In the near future, we plan on moving down to Florida. What do you recommend? A class A motorhome would be best because they are more solidly built and durable. From more than 50 years of RV living and travel! Is it safe to RV by yourself? Yes, as long as you understand what you are doing and make sure to camp in safe, protected areas. Will my insurance cover me if I'm illegally living in my RV within city limits on my sons property ? RV insurance covers you in the same way that auto insurance covers you. However, companies do require certain conditions for RV owners who live in their units that may cause problems for you. For example, if a tree from your son's house falls on your unit and damages it, you might not get coverage because you weren't supposed to be living there in the first place. You need to check with your agents for clarification on this one. When living year-round in your RV, what should you do about an address for the DMV. They require a physical address to maintain a drivers license, not a P.O. Box? This must be something new. However, there are two ways you can fix this: one is to have a trusted relative or friend handle your mail for you, and the other is to find a mail forwarding service that provides a real address rather than a PO box. Try Good Sam Club and Passport America because I believe at least one of them gives you a real address. Of course, you'll have to join their club to be able to sign up for this service, but there are benefits to doing this that will make it worth your while. I have decided I want a Class C RV. I still need to work part-time, so am looking for sites that allow full-time parking options for now. All the sites I have checked seem to be mobile home sites only. Where should I look? You're looking in the wrong places. You need to check out RV parks and campgrounds, not mobile home parks. The first two generally will allow full-time, year-round parking if they do not resort or government parks. Do RV parks allow tiny houses on wheels to park there? I don't believe so. They are zones specifically for RVs, but some will allow park models... but not all do. Tiny houses on wheels don't qualify in either of those categories. Is there a list of full-time RV parks in South East Florida; within Martin and St Lucie counties, specifically? There is no "list" per se, but just about any privately owned RV park that is not a true RV resort usually allows full timing. If you buy a copy of the Good Sam Travel and Savings Guide, it will provide you with contact information for most of the parks in that area. You can then call the ones that you like and ask for details about year round living. Do RV parks rent spaces to cars? Do the KOA sites rent out all year or at least long enough for a college semester? Do RVs rust if on the coast? Yes. Salt water and time will rust them. I don't see much about repairs. I am a small grandma wanting to move into full time RV living. Are there repair stations or handyman people I can call? Is it possible to travel the country in an RV and park it on various friends and family property throughout the years? In most cases, yes, as long as the zoning laws in their town allow RVs to park temporarily in those places. Living there for long periods of time would not work, especially since they wouldn't have hookups in most instances. Where can I find a year-round campground near me? Look in your phone book under campgrounds, or buy a campground guide and check the area you want to stay in. I am currently looking to purchase an RV because I want to travel the country before I decide where to lay down roots. During this time, I will be visiting people I know in various places, but might want to settle in a certain area for a month or two. What kind of cost would I be looking at if I wanted to rent a space with utility hookups for a month? I don’t care about fancy amenities, Just electrical and sewage. That all depends on where you will be going, the time of year and similar issues. A Good Sam Travel Guide will provide basic info about costs nationwide and also will give you contact numbers that will allow you to directly contact various RV Parks. You'll find a link to it in the article entitled How to Plan the Best RV Road Trip Ever which you can find on my profile page https://hubpages.com/@timetraveler2 along with other articles that will provide information about how to save money on campgrounds and RV travel in general. Can I live in my RV all year in Florida? I want to live permanently in my RV in Florida, but I have been told there is a law that prohibits that. Would you happen to have an answer concerning this? Yes, you can definitely live all year in an RV in Florida but it depends where you put your RV. If it's in a standard RV Park or on a Deeded RV Lot no problem. If it's on your own land, you can live there if the land is zoned for RVs. Whoever told there was such a law apparently didn't know all of the details, but full time RV living is extremely popular in this state. Have done it myself! Where do they offer RV living year-round in NJ or NY? I have searched and can't find any places. Is it legal in only some states? You need to get a Good Sam RV Travel Guide. There you will find campgrounds that are located in those states. Cold weather states normally do not offer year-round RV living, but you can always call and ask once you get contact info from this guide. Are the RV parks you are referring to about the pet owner segregation and children being unwelcome, age-qualified parks for persons 55 or older? That would then make sense. We have never come across either of this type of issue in the parks we have stayed at throughout the US. No, not at all. Don't know where you've been camping, but unless the park is noted as "family friendly, these things apply in many places. Been RVing for more than 50 years and have seen this trend increasing in recent years all over the US. You can usually pay by the day, week, month, 3 months, 6 months or 12 months. The least expensive option will be to take a 12 month site that you pay for one month at a time, This will save you a ton of money. Good Luck. I'm about to move to Galveston for medical school and already own an RV. Do most campsites offer an option for you to pay by the month or are you expected to pay every week? Steven Ha: Sorry, but I respectfully disagree with just about everything you said. I have lived in Florida for many years, some of them as a full timer and have never had any of the issues you discuss here. Much depends on the geographical area where you choose to live and the quality and condition of the RV you choose to live in. Many rural areas permit full timing on your own land, and you can do so in any RV park without problems. There is no law against this if you do it the right way, nor is it illegal to live full time in Florida in an RV. Thousands of people are doing it all over the state! Private property must be zoned for RVs. If not, THEN you'll have some of the problems you discussed here. Also, if your RV is a hunk of junk and very old, yes, people will not like being around it and living in it will mean low ceilings, etc. However, the newer RVs are beautiful, spacious and loaded with great amenities. Sorry, but the truth here is that you've had problems because you clearly have chosen not to do your homework. My big question to you is that if you hate it so much, why have you done it for so many years? My big question: Can we stay in a 5th wheel RV in Southern FLA. year-round ?" On private land, even your own? Not legally, no. 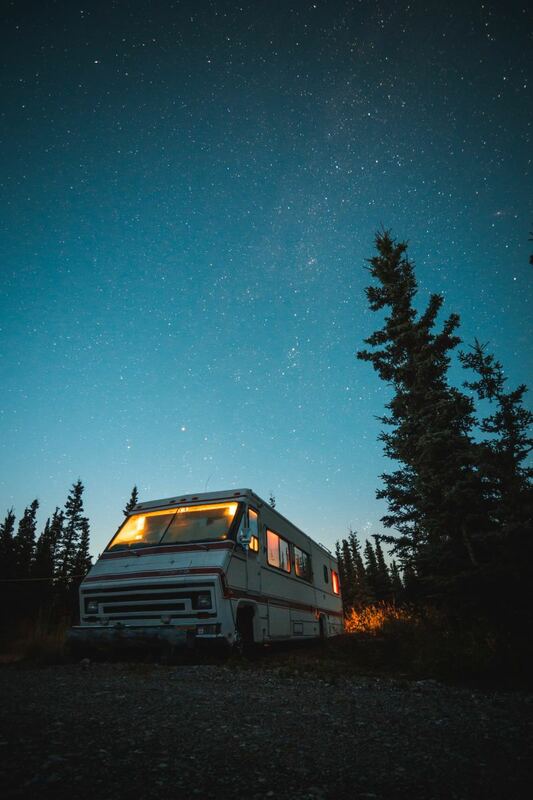 Living fulltime in an RV is illegal in the state of Florida with the exception of living in an RV on the land where you are building a house and some designated RV parks. Just know that living fulltime in an RV anywhere is not all rainbows and unicorns and RV parks are not the paradise that some purport them to be. If you like having more rules and regulations than I did in the US Army and having neighbors so close you can literally hear them talking inside, plus being expected to go by the schedules of others or be deemed"inconsiderate" oh and if shuffleboard excites you as much as it makes me want to hurl, you will get along fine in a park. If you're like me and consider "freedom" to consist of more than just being able to have a gun, and shuffleboard, a game for inmates of an insane asylum, you will not like an RV park at all. Another thing to be aware of is that if you live fulltime in an RV in Florida you are considered legally homeless and if you have children expect to have contact with DCF at some point. In actuality though there's no official RV police out looking for people living in RVs. Most people never have a problem. Problems start for basically 2 reasons. One, you bring them on yourself by doing stupid things and/or two, you have one of those neighbors (or in the case of children, a busybody school official) that for whatever reason, real or imagined, has decided to call the authorities on you. While there's no RV police out looking for violators, if a call is received about someone living in an RV they are duty bound to investigate. I have one of those neighbors. The police drove past 4 other RVs on my street to get to mine and serve me a summons. I was ordered out of my RV immediately and to disconnect any and all utilities. The law only provides for temporary connection of electric for maintenance purposes. Temporary in my case was stated as 30 minutes or less per day. The officer told me that he would be randomly checking and if he found me living in my motorhome he would take me to jail. He relentlessly tried to catch me by doing multiple daily drive bys. I went to court. The (Criminal Court) Judge asked the state attorney why something that should be a code violation was in front of him. The SA said he didn't know and (out of nowhere) that I (me) am a disabled veteran. The judge dismissed the case and I haven't seen the police officer since. 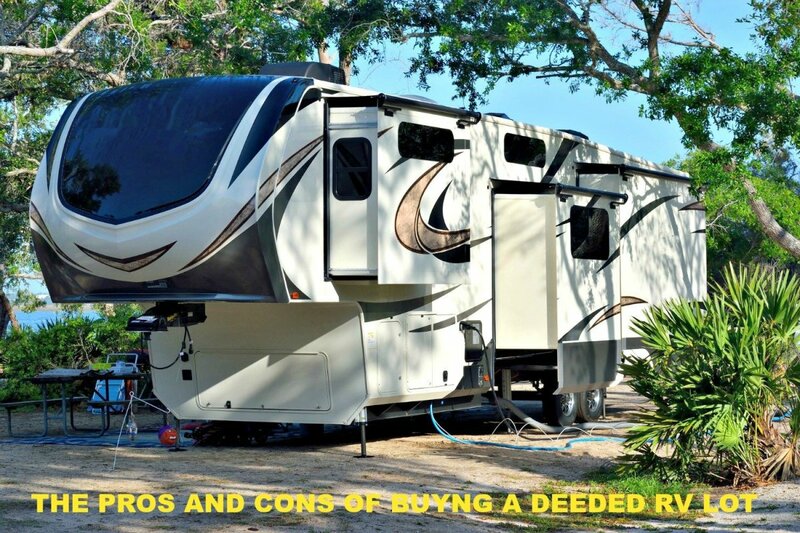 Also be aware that more than a few homeowners consider someone living in an RV as lowering their property value regardless of the fact as in my case, that the RV is easily worth twice the value of their property and those that live in them of dubious character. So if you're willing to live with the risk and hassles, then yes, you can live in a 5th wheel full time in Florida. PS, I have been living fulltime in an RV since March 19th, 1985. May 30th, 2015 became semi stationary with a "home base" for my Winnebago, my dog Charlie, my cat Kiki, and myself. PPS, This is from experience, those couple, three steps up to the bed and the low ceiling height are going to get very old, very quick. Unless you're a 20 something athlete that's about 5' 3" or less.. I'm sure that's true, but people need services at some point and being able to access them can become very important. You're not likely to survive a heart attack living in the woods! I'm not sure what you mean about "comforts of home" if you don't have hookups. To me, water, sewer and electric are what keep you comfortable, but I know that some people are willing and able to do without them. You can live with all the comforts of home and cheaply in an RV but not in an urban area. Depends on how you want to live and where you want to live. Living without hookups is not comfortable for most people. Also, in larger cities, parks have started limiting pets or refusing to have them altogether. The great majority of RVers are not kids, and they like their luxuries. I'm one of them! Fulltiming can be pretty cheap LTVA in quartzsite is 180 for 6 months for example.I have stayed at decent FHU parks in Arizona for 165 a month. Also, almost every fulltimer I have ever met has pets. RV parks not allowing this is very rare in my experience. Yes. See my other comment for more info on this. My big question: Can we stay in a 5th wheel RV in Southern FLA. year-round ? Rickelodeon: If you read some of my articles such as "Live Free in Your RV" plus some others, you'll find info about how to access free camping sites. Work Camping is always a good way to save money and make some, too...but you usually have to commit for a period of time...can't just do a few days here and there. Check out my profile page to find the titles of articles that will give you the info you need. They'll save you a ton of money. Thanks TimeTraveler2! No, I don't mind moving often. The plan is to drive across America. I did read your other articles and the might become handy when we're up for the great adventure. I'am also willing to work at a camping for a free spot. How do you know if you can park somewhere for free? Is there something like an App for your mobile with such places? Rickelodeaon: If you don't mind moving often and being limited as to where you can camp, yes, you can camp for free year round...even with hookups. If you want to just stay in the van, your safest place to do so is in a truck stop if you can't find a free or inexpensive campground. If you check out my profile page, you'll find some articles that give you more info about camping for free. You may even want to consider work camping, which will give you a free site and pay you a stipend as well. Good Luck! Great article, it gave us some real good information. One question; is it also possible to camp for (almost) free year round? We're planning to buy a Roadtrek 210 (more like a van, not really an RV) and travel through the country. Is it possible to just park the van somewhere and sleep in it? Or what are the regulations? Deirdre Sargent: Almost all private campgrounds have sewer hookups, as well as water and electric, right at their sites. Some even offer free WIFI and cable. Do some research in the area where you want to live to find out what's available. Any good campground guide will give you access to phone numbers and emails so that you can ask questions and get an overview of what each park offers as well as their costs. The cheapest way to live full time is to rent a spot year round. Doing this will save you thousands of dollars over what you would pay to rent daily, weekly or monthly. Good luck! We're considering selling our home and buying a 5th wheel to live in full time, but not to do much traveling at all, maybe 1 or 2 times a year until actual retirement. Is there such a thing as some sort of hook-up at rv campgrounds or resorts where you are basically hooked up to a septic or sewer system at your space or do you have to drive the 5th wheel over to a dump station daily or every few days? Bethleannie: No, you do not. However, you will need to take a driver training course and practice a lot before you try to drive one of these rigs. 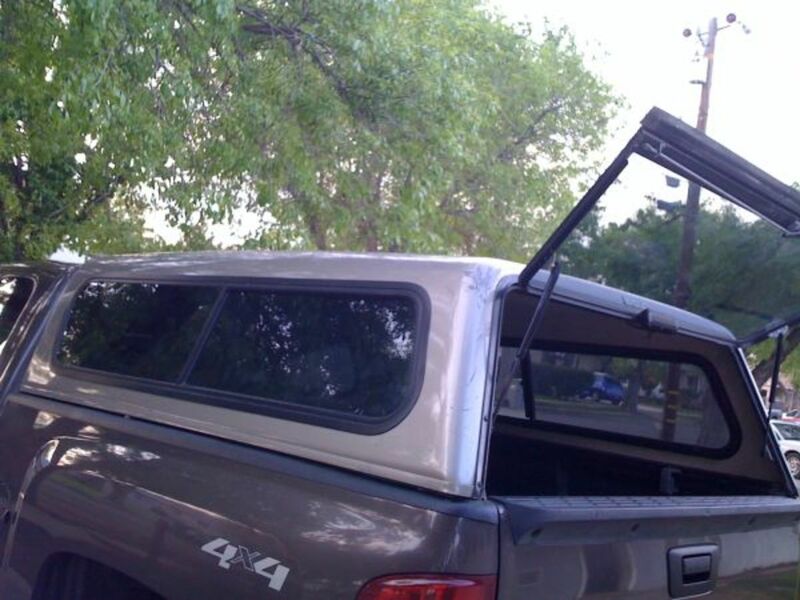 There is no law requiring you to do this, but it is the only way you will be able to drive one safely. Glad you liked the article By the way, you can live in an RV park with your kids by either buying a unit and placing one there permanently or buying one that is already set up on a lot. This is wonderful, honest information. I rent a home now, because when my kids grow I know I want to live in an RV! My problem is that I have never drove one. Do you need a special drivers license? Vvitta RV living has many benefits, but a large interior living area is not one of them! Thanks for commenting! Interesting article. This is not found here in Malaysia where folks actually can spend such a long time in such a small space. Truly an eye opener and loaded with vital information. Great hub. janshares Yes, it can be pretty nice living if you pick the right place. Of course, the more you spend, the better it gets! I'll be doing a hub soon about the different types of arrangements people can make for camping. The variations are many and so are the costs! This was an interesting and informative read, TIMETRAVELER2. I had no idea about RV/campground living, out of my league here. :) I found the number of amenities surprising, as well as the choice of activities. It sounds like a nice extended vacation to me. Thanks for the enlightening info, voted up, useful, and interesting. rebeccamealey: Ahh...travel!!! It is so easy when you live full time in an RV...you do not even have to pack and can be on the road in an hours. No wonder people love RVing so much!! suzettenaples: If you look at some of my other RV articles, several discuss costs of the RV lifestyle. It is a big topic and requires research. Feel free to email me privately if you want specific information because much depends on where you live and what you want. As I stated in one of my articles, you can actually live for free if you do it right, or you can pay a small fortune if you want all of the luxuries. The choice is yours! Read, and then get back to me on this. I believe I could go for year-round RV living! I would definitely want to travel, though. You bring up some excellent points to think about here. Thanks! I have never thought of permanently living in an RV. What would be the cost to do so? I don't know what campgrounds charge to have an RV on their premises. You give some good suggestions and tips for doing this. Thanks so much for sharing your knowledge with us. Nell Rose: Yes, it does get into your blood! Billybuc: Definitely a lot to consider here. Thanks for stopping by. Still debating this option. We have a couple years to decide. Thanks for the continuing education, and have a great weekend.